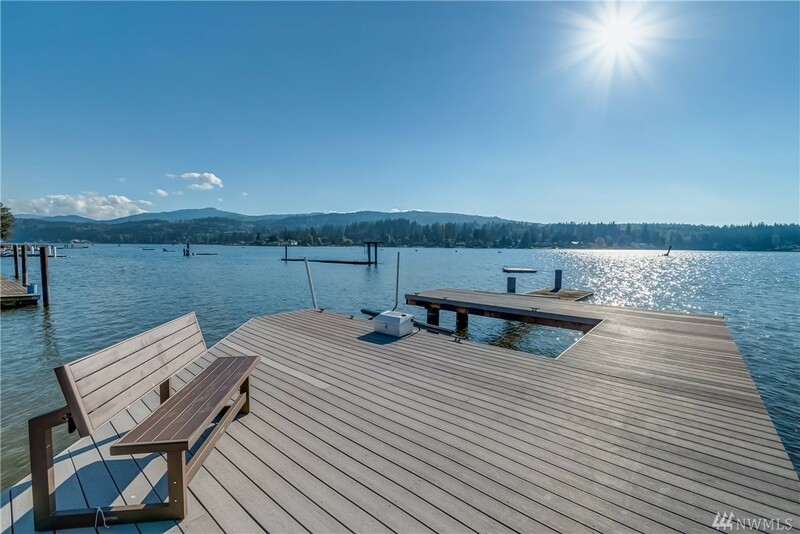 Beautiful Lake Whatcom, no bank waterfront property! Level lot situated on a rare quiet lane off Northshore Rd, southwesterly facing providing excellent sun exposure and amazing sunsets. Features include 4 bedrooms with master on main, 3 updated bathrooms, loft office plus 2 extra finished rooms, new gourmet kitchen, expansive patio with hot tub, flat yard, sandy beach, and refinished dock with boat lift. Donât miss this if you want lake living at its best!